Welcome to Acupuncture and Oriental Health Care Center. We have been in business for over 25 years and offer a variety of traditional Chinese medical remedies, ranging from acupuncture to herbal tea and supplements. The center is run by Lily Li, Georgia Licensed Acupuncturist. For more in-depth information about our treatment and our staff, please click here. 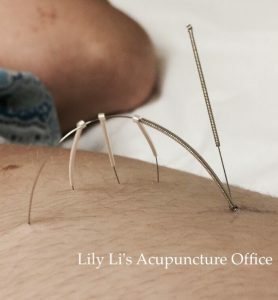 If you want to learn more about acupuncture, click here. Finally, if you are looking for directions to our center or would like to call to make an appointment, click here. Acupuncture has been around for thousands of years, and has improved millions of lives.